storage hawthorn east which is one of the best services for you to go for. 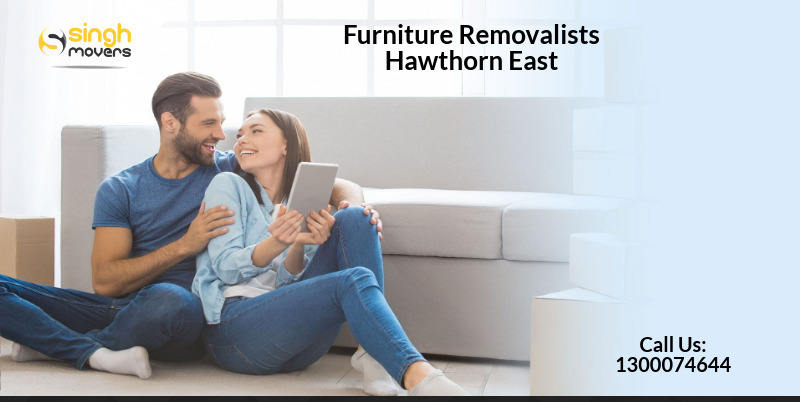 This furniture removalists hawthorn East company is based in Melbourne and delivers its quality services to a lot of places with a really reasonable price. If you are looking for removalists Melbourne, then you are in the right place as this service is the one which is going to benefit you all the time. The suburbs are roughly surrounded by Barkers Road in the north, Burke Road in the east, Tork Road on the south and Monash Freeway and Auburn Road in the west. Hawthorne East is home to several head offices for some of Australia's largest companies, including Coles and Bensing. Hawthorne was originally established in the 1880s and many historic buildings and houses are still well preserved. This Boroondara is located in the local government area of the city and is between two shopping strips located on Glenferrie Road and Burke Road. We provide specialized services in the following fields. Why choose Singh movers as Furniture Removalists Hawthorn East Melbourne? No delays in delivery anytime. We, at Singh Movers and packers, believe that every minute is valuable for you. Thus we make sure that you get everything delivered and picked up in time. Our service never asks you to pay for any kind of depot to depot charges. It is such a thing which we include in our service only, so you aren’t asked to pay for it. We make sure that as long as you are asking for our service, we would never charge you separately for fuel. It is always included in our transportation. Our service only charges you for the door to door service which is the main part of our service and the main thing for relocation. Proper care of all your belongings while transportation. In our service, we are responsible for everything until it is under us. We would monitor each and everything which we are supposed to relocate and make sure that everything is kept intact. We are the best house removals service with guaranteed on-time pickups and full house relocation including delivering it to the place you like. Whatever service you expect from us and whatever way you want us to do that, we would be doing it for you as for believing in individual necessities rather than just doing what everybody else does. We provide good services in every aspect which you would love. We provide affordable relocation for all types of furniture moving services and office removalists and also provide you with quick service in the Antique Furniture Removalists Melbourne. We make sure that you find our service the most affordable among every other service which you can find. We always want you to save money on our services. Our staff has been in this service for more than a decade and we provide you with really professional service, both on road as well as during relocation. The best thing about Singh Movers is that we never charge you for fuel costs, which means that everything is just covered under the specific price which you have to pay for relocation, not for any kind of transport or whatsoever. This means that you would be saving money this way too on our services. This is another great feature of our service. We believe that your time is the most valuable thing and that is the only reason we work 24 x 7 so that whenever you need us, we are there for you in order to relocate everything for you and give you the peace of mind all the time. We are adamant on the fact that your belongings and treasure needs to be protected every time, and that is why we have a full four-level security system on board, which gives really exceptional security to all your belongings. Along with that, we have very sturdy and very strong containers for your belongings which makes everything quite secure for you and makes transportation for us easier and security for you easier at the same time. We believe that customer satisfaction is one of the most important things in our service, and since we are here to serve you, we really would like to do it in the best way. We always use professional tools for everything, be it packing, getting into our trucks, while on road or even while unpacking everything. We can give you the best service and we make sure that the customer gets the best from everything which he has paid for our service. Like we mentioned, even if you want a piano removals service, we can provide that for you as we are quite efficient in relocating heavy stuff from time to time. If you are transporting any heavy stuff, you don’t need to worry about its safety, because the safety is up to us and we would make sure that it enters your new home or new office exactly as it was packed by us. Our service is the best this way and we make sure that our customers love it. Any service which you are going for needs a really professional staff with really good user experience all the time. The same way, Singh Movers and Packers furniture removalists hawthorn east has been doing for the last decade as it has a lot of happy customers with great service offered all the time. You can always trust this company with all the stuff which you want to get moving and shift from one place to another. No matter if you want Removal Company Melbourne or from any other place, you can always choose this service for removing any kind of stuff that you want. Let us make it clear for you that this company is a full time moving house removals, piano removals, furniture removals, interstate removalists, office removalists and a lot of other stuff which you can get moving and move your stuff from one place to another. This is a legal as well as a licensed company which makes it really convenient for you all the time to get your stuff moving from one place to another and they are really considered to be the best house removalists Melbourne which you can find. If you have anything which is heavy, like heavy furniture at your homes which you want to get moving, then trust this service for the furniture removalists hawthorn east as it is famous for it for a long time and provides you storage for all the stuff which you have and want to move. No matter if you have furniture, your washing machine or even your refrigerator or some other heavy stuff, then you can easily get it done with this service without any extra cost as everything is covered under the money you pay. Singh Movers and Packers is Melbourne removalists based company which offers you a really cool service which not only is affordable but is quite trusted as well as convenient at the same time. This service has been running and working on for a really long time with a lot of happy customers. It is one of the cheap Melbourne removalists company which you can go for rather than any other kind of local service. It is a full-time service with a lot of experienced staff with great and rapid on-time delivery for your convenience. All the heavy equipment would be transported easily. Fully insured company with a lot of satisfied customers. Piano removalists including the rest of the stuff to be transported. Special care for everything in your belongings. Relocation of extra or special things, like piano removals or pool table removals. Extra storage for extra items in your items which you need to shift. Hawthorn East is the inner suburb of Melbourne, Victoria in Australia which is about 7 km east from Melbourne’s Central Business District. The postcode of Melbourne East is 3123 and according to the 2016 census, the population is about 14,321 people. This place is quite good serviced by public transport including a lot of local schools, shopping centres as well as healthcare providers. Singh movers and packers are the best services as the furniture removalists hawthorn east as this service allows you to relocate all the stuff which you want from a place to place and get anything moving and on the roads to deliver to the place where you want to shift it. It is a full-time Interstate Furniture Removalists Melbourne and is such a service which you won’t regret at all. It is one of the most professional services which you can find for yourself.